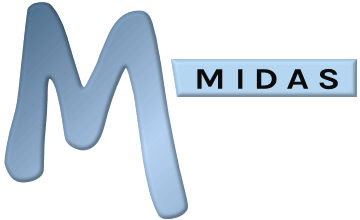 Before you install your self-hosted MIDAS scheduling system, you will need to create a blank MySQL database on your server. The following instructions describe how to manually create a MySQL database from the command line. Note: Text in red below denotes details you may need to modify for your particular server setup. If your MySQL and Web Server reside on separate hardware to each other, you will need to substitute localhost in the above code to reflect the IP/domain of your web server. If unsure of your web server's IP/domain, you can substitute localhost for %, which will accept incoming connections from any host, however for security this is not recommended and you should always endeavor to use localhost or the IP/domain name of your web server instead.